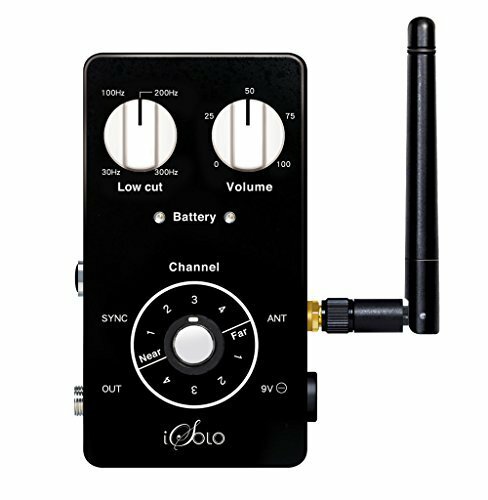 The iSolo Wireless Instrument Microphone System is an attachable microphone that allows you to record or perform acoustic instruments electronically without the use of wires or the space and movement limitations of a standing mic studio set-up. In the past, the concept of recording music wirelessly has often come with assumptions that this will mean the sound quality is significantly lowered. Finally, that drop in quality has been removed from the equation entirely. The sound quality provided by the iSolo Microphone is immaculate, whether recording or performing live. We’ve included a recording example and video below. From the moment we opened up the iSolo box the whole set-up process was extremely simple and fairly self-explanatory for the most part. The various components that come with the set are all well listed and explained within the manual, as is the charge process and how to establish a high quality connection between the microphone and the receiver, so there’s really nothing complicated about it at all. The first thing we tested was the recording function, which, for us, was the iSolo affixed to an acoustic guitar, wirelessly connected to a laptop with a new Ableton track running. 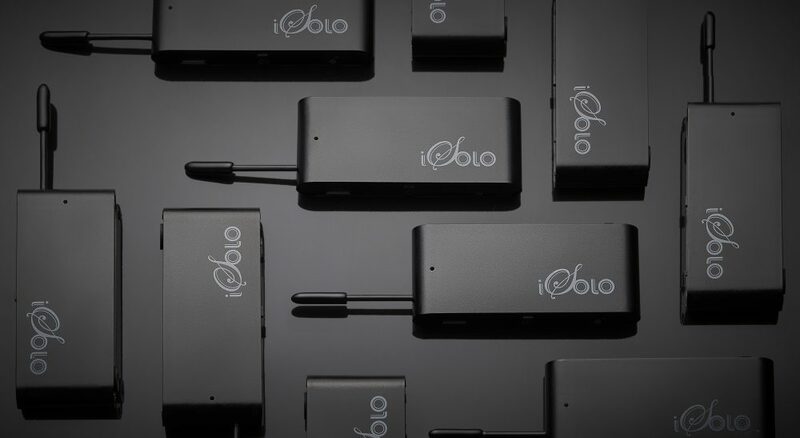 The iSolo arrived with a little charge still present from the factory but we connected it up to fill the gap; this is easy to do, simply connect the Microphone to your laptop, PC, or other USB port – as you would a phone or tablet or just about any modern tech device. The iSolo Microphone arrives with everything you’ll need to get started. The iSolo is incredibly small, particularly when you consider the high quality sound that comes through it. This takes away much of the hassle of arranging around a full-sized microphone on a stand, and it frees you entirely of the bulk of wires that would normally surround you. In essence, your creative passion is far more likely to thrive when using iSolo to record a particular track or musical moment – it’s as if you’re not recording at all, simply playing. It puts the love of music back into the process and removes any of the anticipation or stress that many musicians often associate with an organised recording session. 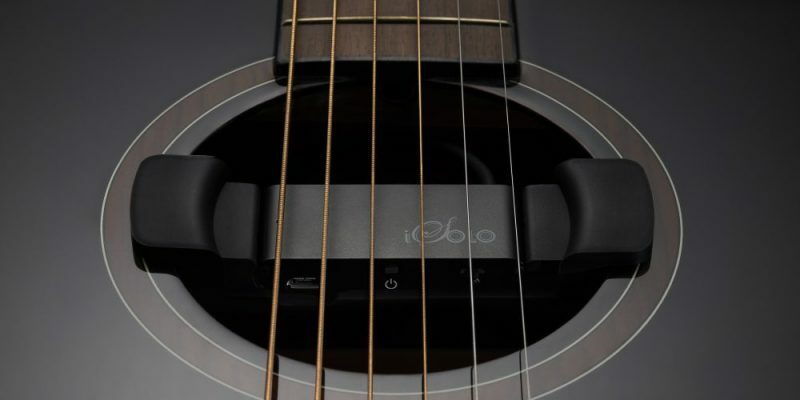 Regardless of the style of music you play, the iSolo has the acoustic sound covered. Below is a recording and video of the iSolo in use when recording a finger-style arrangement on an acoustic guitar, to give you an idea of how effective the mic really is. For live performances the iSolo is placed on the acoustic instrument, the same as with the recording setup. You then simply use the accompanying stage receiver, which is powered using a 9V plug, and connect this to the amp or mixer via a regular jack lead. The sound quality is amazing, the distance you can cover from the microphone to the receiver and the amp has never been an issue; the quality does not fall at any reasonable stage distance. The iSolo makes performing feel completely natural, giving you that creative freedom and space required to embrace the moment entirely. As described above, the sound quality when either recording or performing live is on par with the very best set-ups of today. Listen and watch below for the full effect. Please Note: The iSolo Microphone should ideally be held inside the sound hole, underneath the strings. The neck of the mic is flexible so you can move and arrange it easily. At no point during the testing and usage of this product did the battery life of the iSolo come to an end before we were done utilizing it. For something that takes just an hour or two to fully charge, the resulting effects are fantastic. Highly recommended. Visit the iSolo Website to order or for more information. Find & follow them on Facebook to stay updated. How was the feedback resistance and compensation? Feedback is usually an issue with mics inn a licpve stage settings. Did you experience any feedback issues? I have not figured out how to record to PC. I know about pairing but not what recording program to use as an Interface between iSolo and PC. I think it should work with most DAWs – what do you usually use? I’ve never recorded to PC. Mixcraft 8 Pro Studio is on sale right now for half price. I understand that program will work if I use the iSolo USB plugged into the PC. I’ve never used the iSolo yet either. I don’t have an amp but am going to get one for my acoustic guitars. I also have a ToneWood Amp… sticks onto the back of the guitar. And a Cort acoustic I just bought has a Fishman Presys EQ system built in. Before too long I want to buy a webcam or something so I can record to PC in video too. I need to research this sort of thing.